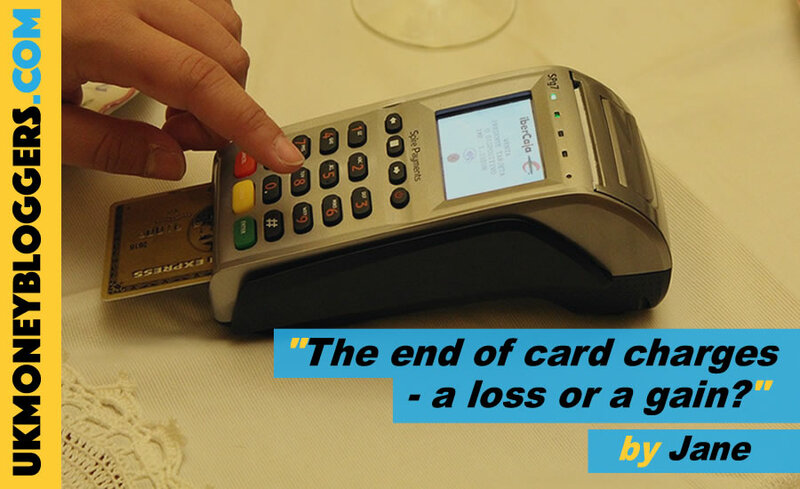 The end of credit card charges – a loss or a gain? On her customer service blog Lady Janey, Jane tackles a range of consumer issues, with the aim of encouraging people to get the best possible customer service experience for their money. At last, I thought! No more having to double and triple check any extra charges I might be facing when purchasing either online or in store. I’ve always thought that these charges were unfair. The cost of everyday goods and services has increased at an alarming rate over the past few years so we pay enough as it is without incurring further surcharges at the till. I must admit my initial reaction to reading that all charges were to be banned from January 13th 2018 was one of elation. It’s always been hard to remember to check whether a company charges for use of a credit or debit card before making a transaction and I thoroughly begrudge having to do so. I also really like using my cash back credit card for all purchases so find it unfair if I am forced to pay by cash or debit card because the company charges me extra for doing so. As a customer, I have then been known to shop elsewhere for the privilege of not incurring any extra costs to use my card. However, it has suddenly hit that this is not just about big companies. The new legislation will apply to every UK firm selling to UK customers and by that it covers anything from your local grocers to the big players. At a time when there is a real need to save our high street and support local business; this could potentially be another nail in the coffin. How will large businesses manage? I have to be honest; I’m not bothered in the slightest if larger companies have to pick up the tab for the cancellation of these unnecessary and ridiculous charges. However, what I do take exception to, is the absolute certainty that they will pass these costs on to the customer in some way. Profits first, customer second as ever. What about the smaller businesses? I don’t mind one bit paying extra to use my credit or debit card if it means supporting local companies and giving our local high street the best chance possible of survival. My lack of organization for not having cash with me is not their fault, it’s my own so although I’m never happy to pay extra, I just put up with it and make sure I remember to take cash the next time. What I’m now worried about is that the imminent cancellation of the surcharges may mean that there is a significant increase in the use of cards as payment and my local retailer will just be unable to absorb these costs. Alternatively, many companies may simply decide to withdraw the facility to pay by credit card. HMRC has already announced its intention to do so. I am filled with horror at the very thought. This has widespread implications for our future spending habits and if it’s no longer possible to pay by card then the protection of Section 75 is lost, leaving customers vulnerable as before. As usual with these things. I fear that we will just have to wait and see what the widespread impact of such a change will be. Unfortunately, things are never as black and white as they first seem. Any initial ‘elation’ I may have felt was short lived and is now a definite ‘deflation’ at the thought of the fallout from this new legislation. One thing’s for certain, although a seemingly initial triumph for the everyday consumer, it will no doubt turn out to be a very hollow victory all round with a great deal of loss and very little gain. I have read recently that HMRC are no longer going to accept credit cards for payment of taxes due from end Jan 2018, which is likely to give small traders even more of a problem, because many use their credit card to help spread the load. It seems a bit harsh to say the least!